A good number of OCCC students and staff have noticed the automatic water-bottle fill stations that appear in conjunction with many water fountains around campus. Those who stop and observe for just a moment may actually realize that in the upper right hand corner of every fill station is a number. The number represents the water bottles saved from a landfill. Chris Snow, Facilities Management assistant director, said college employees noticed students struggling to fill their water bottles in the water fountains and installed a fill station as an experiment in late 2012. At almost all of these stations, the numbers have reached at least the 10,000 mark. A total of the eight stations surveyed showed that OCCC has refilled 30,000 bottles. It has been a success, Snow said. The fill stations became very popular amongst students and staff, so the installation of more fill stations began. There are now eight water-bottle fill stations throughout campus, at least one in every major building. “This shows the college’s desire to support and help its students,” Snow said. 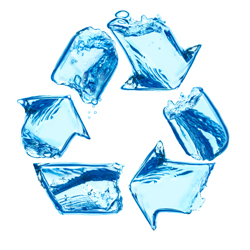 By reducing the number of one-time-use water bottles, they are making a difference in the environment each time people refill a water bottle. The website waterproject.org estimates that over 80 percent of all single-use water bottles in the U.S. simply become litter. Sophomore Joseph Merrill was shocked at this fact. If students do not want to refill their bottles, OCCC provides recycling bins next to every trash can, with plenty of room to recycle unwanted water bottles. For more information, contact Snow at 405-682-7575.